June 2018. It doesn't seem possible. You complete an entire training cycle in which your fastest training run is 10 min 16 sec per mile, and then you go out and run a half marathon at a pace that is more than 30 seconds per mile faster than that. But I trust to the magic, and I trust the training. It's what I've learned from reading "Primal Endurance". I am an ordinary runner. In my youth a 6 minute mile seemed fast, and an 8 minute mile seemed sustainably fast. When I returned to running at 50, an 8 minute mile seemed fast, and a 9 minute mile seemed sustainably fast. Approaching 60, I had slipped from even that modest perch, and the training methods I had used all my life were failing me. For years I made steady progress following the conventional approach of using high intensity runs to improve speed. At a certain point, however, age and the wear and tear of those high intensity workouts were breaking me down faster than I was building myself up. Even an ordinary runner follows the pattern of ups and downs that all runners follow. Come race day, we wall want to deliver a performance that is our honest best effort of our capabilities in that moment. And so, I suspect, techniques that bring relative success for an ordinary runner are likely to work as well for any runner, at any ability level. I'm in my third year of heart rate training, and completely sold on the approach, especially for older runners. When I made the switch to heart rate training, I committed to learning to "run slower faster." The benefits were immediate -- I had fewer injuries, recovered faster, and found the level of stamina that has let me complete three 50k ultras in the last three years. But I had a nagging question: was I settling for the life of a permanently slower runner, or would I eventually gain some speed back? For the first year and half of heart rate training my approach felt incomplete. I was still feeling my way through unfamiliar territory, trying to reconcile different views on heart rate training, trying to figure out what worked for me. And then, after hearing Mark Sisson on a podcast, I read his book "Primal Endurance". I had found the missing pieces of my personal puzzle. I'll dig into the specifics of how I've applied Sisson's approach, but first let's look at this the training and race results from this Spring, my most disciplined effort yet at the Primal Endurance take on heart rate training. On April 21 I ran the Wenatchee 10k with an average pace of 9 min 18 sec per mile. That was my fastest 10k in 3 1/2 years. 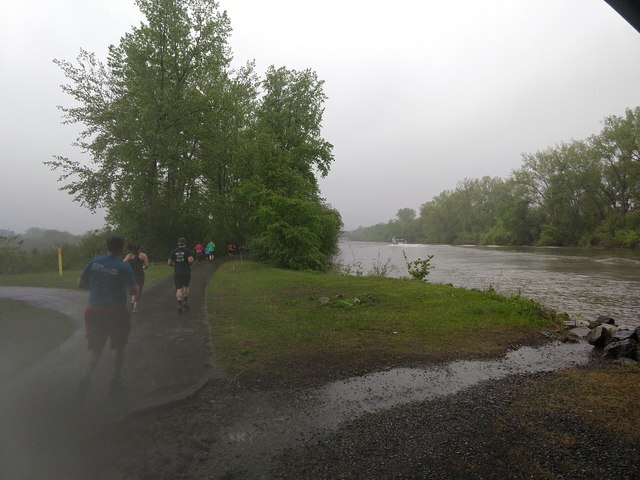 On May 20 I ran the Erie Canal Half Marathon with an average pace of 9 min 45 sec per mile. That was my fastest half marathon in 4 1/2 years. Those results signal a clear improvement in speed thanks to my current training approach. I did 30 training runs. 3 of those runs were at a 12:00 pace or greater. 13 of those runs were between 11:00 and 11:59 pace. 9 of those runs were between 10:30 and 10:59 pace. 5 of those runs were between 10:16 and 10:29 pace. How, then, did I produce two race runs at paces that were so dramatically faster than any of my training runs? I had 6 training runs with more than 500' of elevation gain, and one with more than 1000' feet of elevation gain. I had 6 training runs that took me longer to run than the half marathon, including one run that took 3 hours 4 mins. Embedded in these runs are 5 interval runs with 30 second intervals of sprinting, or 30 seconds just off sprinting pace but up a 5% grade. With generous warm up and cool down periods for these runs the overall pace isn't fast, but the peak intensity is high. The data also doesn't show that many of my runs are trail runs where rugged conditions make for a slower pace. Nor does the data cover the many hours I spent in the gym strength training. So how does this all come together within the broad school of thought around heart rate training? What exactly is the Primal Endurance approach? Here are eight key principles from the book "Primal Endurance" that led me to this seemingly peculiar approach. "Endurance athletes have extreme difficulty slowing down into what feels like a disturbingly slow aerobic heart rate zone. But massive improvements can occur over time by becoming more efficient (faster) at the same comfortable, conversational aerobic heart rate." I can't overstate the importance of the principle here. This is really the foundation on which all else is built. For me the aerobic heart rate threshold means Zone 2 or below. In my case, that's basically less than or equal to 140 beats per minute. The more you train in that range, the more you train your metabolism to rely on fat-burning rather than carb-burning, and the less susceptible your body will be to anerobic-induced fatigue and injury. It feels weird and often frustrating at the start of a training cycle, because your pace can frequently be in the 12 minute to 13:30 range. You almost feel like you could walk that fast, and indeed heart rate spikes induce many walking breaks. But this will pass in the first 6 to 8 weeks, and those low effort runs will steadily get faster. And I'll tell you it's a remarkable feeling to put in a sub-10 minute mile while your heart rate never leaves the 130s. You feel like you're moving at a pace that is genuinely more running than jogging, and it feels effortless. "Emphasizing aerobic workouts delivers the best return on investment for endurance athletes, because endurance competitions -- even as short as one hour -- are fueled almost entirely by aerobic energy systems." This is really the natural consequence of building that deep aerobic base. Even a race as short as a 10K is going to be determined more by your aerobic efficiency than your anaerobic capacity. Think of it as raising the plateau from which you must ascend, so that your ascension is a shorter climb. 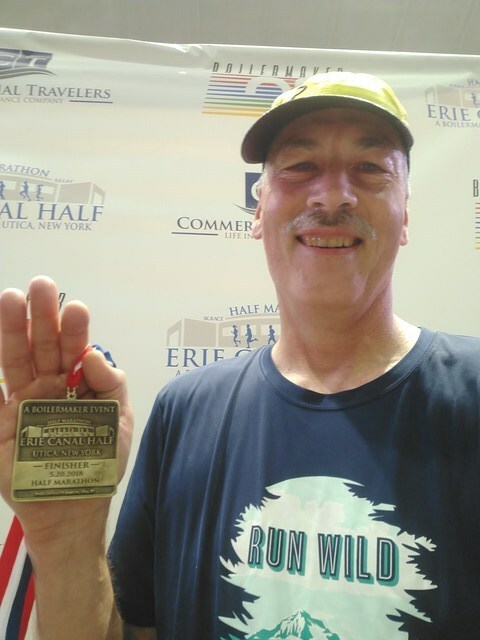 When I ran the Wenatchee 10K this spring at a 9:18 pace, I was also turning in MAF tests -- sustained, measured run at 136 bpm in my case -- at a 10:18 pace. That meant the ascension from my easy, aerobic base to my high performance pace was only 1 minute per mile. "Focus on brief, high-intensity strength sessions that increase raw strength and explosiveness." This was also hard for me to adjust to. I didn't see how I could build strength if I wasn't pushing myself to the point of fatigue with every strength workout. But I have trusted the process, and seen the results. With weight training, I limit my reps to 5 at a time, and then switch off to a low impact flexibility exercise. With running, whether it's sprints or hill climbing, I limit my high intensity efforts to 30 seconds at a time, gradually raising my heart rate for that peak effort, and then carefully stepping my heart rate back down to Zone 1. In so doing I get measurably stronger and faster. "Endurance athletes over age forty will particularly benefit from strength training, since strength declines more steeply than endurance." I'm mindful that I started down this path because my aging body wasn't holding up to the high intensity approach I'd always followed to getting faster. Muscle loss due to aging is a real challenge, and just running as your sole form of exercise is not sufficient to meet the challenge. Strength training rather than aggressive aneorobic workouts has become my way to meet that challenge. Even when running you can orient selective workouts to focus on strength training. That's one of the things that all that trail running does for me -- it puts me into higher elevation gain routes where my pace may not be that fast, but my muscle effort is significant. "Sprinting, like strength training, delivers a potent anti-aging effect by flooding the bloodstream with adaptive hormones and actualizing the anti-aging maxim of 'use it or lose it.'" Now when I do a 30 to 40 minute sprint session, I don't feel wiped out at the end. I have only about 2 minutes of actual sprinting in that session, and the rest is warm up and recovery time. I feel refreshed, not worn down. "You are better off being intuitive, varied, and flexible in your workout patterns. 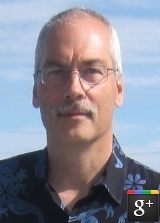 The process of fitness progress is dynamic and unpredictable, not linear." As a quantitative nerd who can be a bit of a control freak, this was a hard one for me. Letting go of my carefully curated training plans wasn't easy. But I've had enough success with the Primal Endurance approach to trust the approach and, more importantly, trust myself. Training for a half marathon I know that I need to get in a handful of runs that are 2 to 3 hours in length. And I know that I need have an overall base of endurance and strength that will get my MAF tests at least below a 10:30 pace. That doesn't mean I have to have a particular goal for each and every run. I skip days when I'm not feeling well rested, or when the rest of life gets too hectic or stressful. I change up when I work on tempo versus when I keep it aerobic based on how I feel that day. I don't make a final decision on distance until I lace up my shoes. I don't chase fitness. I let fitness come to me. Though it sounds weird to say, whether it's a 10k or a 50k, I have no training "plan", at least not in the regimented way that most runners mean that. I have some benchmarks that signal I'm ready, but I get to them intuitively, naturally, without any given run being "must do" in the training cycle. The inoculation this provides against mental training burnout is invaluable. "Mini-periods of high intensity during the competitive season should be followed by a period of nearly equal duration composed of rest and aerobic exercise." Periodicity has become my mantra. I understand now that you cannot be Sysyphus, you cannot be on a never-ending ramp of high intensity training. When I do focus on sprints and intervals I cap those training periods at 3 weeks, and follow on with a period of 3 weeks or greater in which I stay in Zone 2 the whole time. And come November each year, I plan on a minimum 4 week break of no running at all. I am less injury-prone as a result. Psychologically, I have more enthusiasm for running than ever before. "A high carb, grain-based diet leaves endurance athletes nutrient deficient, inflamed, and more susceptible to oxidative damage from the stress of training, general life, and poor nutrition." When I returned to running I was terribly out of shape as a result of a back injury-induced sedentary decade. With just modest, sensible improvements to my diet and a fanatical devotion to running, I dropped 50 pounds over the next three years.But, just as "Primal Endurance" predicts, a cavalier carb-loading attitude eventually led to weight gain. When I started heart rate training I had gained back 20 of those 50 pounds. Think about that. Imagine toeing the start line at your favorite race, feeling trained and confident, and having someone come up and say, "Here's 20 pounds of weights you need to carry today." So I've gotten much more serious about low carb eating, and dropped those 20 pounds. Even on race day I don't particularly think about carbs. For a marathon or ultra I'm focused on electrolyte balance. For a half marathon I'm not interested in anything other than water. A 10k requires nothing at all. I'll add one more lesson I've learned during this time that's not part of "Primal Endurance." Stone's wisdom: "Forget the addage to train in conditions that resemble the race course. Train on trails; the more often the better." We runners have long held this notion that our training should incorporate the eventual race day conditions as much as possible. This is nonsense; there is no more science or logic to it than the idea of "sympathetic magic" that was prevalent in the Dark Ages. Over the years I have learned, on race day, to separate the discomfort I feel from genuine fatigue from the discomfort I feel from the shock of impact I feel from the same repetitive motion pounding my joints stride after stride. The truth is, with my heart rate under control, my body can go very far before genuine fatigue sets in. At the same time I've learned that how susceptible my body is to concusive discomfort on race day has a lot to do with how much I've beat my body up with that kind of discomfort during training. So minimize repetitive impact inflammation during training. Hence the advice to stick to trails. Trails means dirt, an inherently softer and more absorbent surface than concrete or asphalt. Trails means a more varied state of climb and descent, and thus more varied muscle engagement than the steady state of a flat course. You can build base stamina and base strength on any surface, so -- as much as possible -- choose surfaces that don't induce a damaging accumulation of inflammation into your system prior to race day. There was a dark time a few years ago when the training for race day felt like a fight, and it felt like a fight I was always losing, and in my darkest moments I questioned whether running was right for me. Heart rate training opened up new doors for me. "Primal Endurance" opened up a new journey for me. And I expect to be on that journey for many years to come.